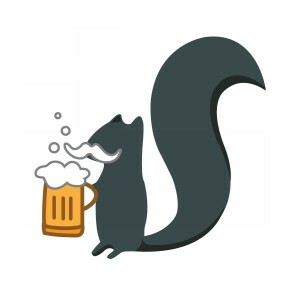 I’m so excited to announce that Kjölur Run and Athletes for Climate Resilience is now supported by two fantastic Burlington, Vermont area purveyors of locally-produced yumminess — Brio Coffeeworks and Squirrel Stash Nuts! Brio roasts some of the tastiest beans that owners Magda and Nate Van Dusen can find. I learned more about coffee in a few visits to their roastery than I’ve learned in decades of being a 2-4 cup a day devotee ; ). I’m stoked to have Brio coffee to fuel those early morning training runs! Check out their website, Facebook page, and Twitter for word about where to find their coffees, or stop by their Pine Street roastery. For the past year or so, Squirrel Stash has been roasting several tasty varieties of almonds, cashews, peanuts, and pecans. Their recent pairing of Burlington Beer Company ale, cane syrup, cinnamon, and maple and cashews has resulted in the pretty amazing Buzzed–my favorite! I’m also pretty keen on their compostable and eco-friendly packaging. Nuts & nut butters are my go-to fuel for running–and for just about anything, really, so I’m very excited to have SSN’s support to help me train through the winter spring. Follow them on Facebook for the latest! Thanks, Brad and Meag : ) !